MB7040 I2CXL-MaxSonar-WR | MaxBotix Inc. 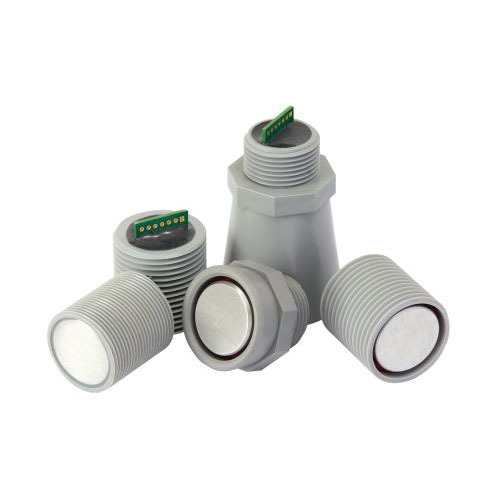 Features of the weather resistant MB7040, I2CXL-MaxSonar-WR, include centimeter resolution, short to long distance detection, range information from 20cm to 765cm for the nearest detectable target, up to a 40Hz read rate, and an I2C interface. 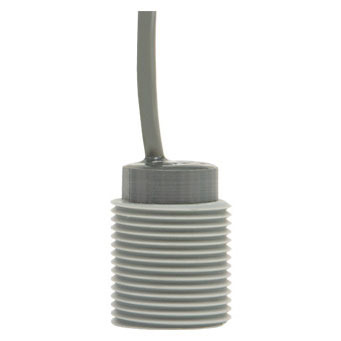 The MB7040 from the I2CXL-MaxSonar-WR line of outdoor sensors is a rugged ultrasonic sensor component module. This sensor comes in a compact and robust PVC housing which meets the IP67 water intrusion standard and matches standard electrical 3/4‑inch PVC pipe fittings (this product has multiple housing options available). The I2CXL-MaxSonar-WR sensors are factory calibrated to match narrow sensor beam patterns and provide reliable long-range detection zones. In addition, the MB7040 offers virtually noise free distance readings through the use of high-output acoustic power combined with continuously variable gain, real‑time background automatic calibration, real‑time waveform signature analysis, and noise rejection algorithms. This holds true even in the presence of many of the various acoustic or electrical noise sources. The legacy part numbers MB7047, MB7240, and MB7247 are now contained within MB7040 which is the base for all housing options on this product. To select a product with a legacy part number, select the desired housing option on the product with the appropriate base. Please review the following table for more information.